Unless you’re actually gluten-free, it’s difficult to imagine having to completely cut it out of your life. And probably even harder to understand. And when you don’t understand something, it’s easy to get the wrong ideas. These 7 things are just some of the wrong ideas people who aren’t on a gluten-free diet get about people who are. 1. Thinking that going out to a restaurant with friends who aren’t gluten-free must be depressing. Nope. Just means that people who eat gluten-free might have to order something different. 2. Believing that gluten-free food is never as good as food with gluten. Ummm…you remember those guys who liked gluten-free cookies way more than name-brand regular cookies? Yeah. 3. Thinking that gluten-free people have to spend all their money on gluten-free food. Yeah, it’s not cheap, but there are ways to make up for it, like with a sweet little tax deduction. 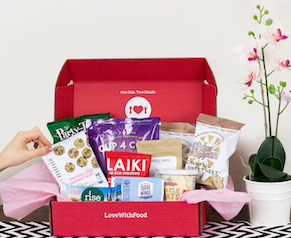 And…did you all forget about the box of 10-15 gluten-free snacks for only $19.99 a month? Well here’s a reminder. 4. Believing that a gluten-free diet is basically like the Atkins diet. Gluten does not equal carbs. Period. 6. Thinking that having to eat gluten-free at a party is basically impossible. I mean, if it’s a bagel party…then yeah, that would be a bummer…but otherwise it’s just a matter of being careful and knowing the facts. 7. Believing that being gluten-free is just a huge drag. It’s a challenge. But hey, challenges just make you more awesome. What other things do non-gluten-free people get wrong about what it’s like being on a gluten-free diet? Tell us in the comments below! 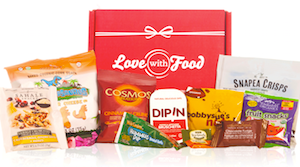 And if you’re interested in trying our monthly snack boxes, check out all our gluten-free plans!